Trim Those Trees Off The Roof! 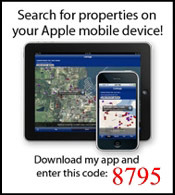 I was out showing homes in one of the older neighborhoods in Plano yesterday. What makes these areas nice are the mature trees that provide shade and character to the homes. What caught my eye was that many homeowners had not taken care of their trees and many of them had were in direct contact with the composite shingles on the roofs. 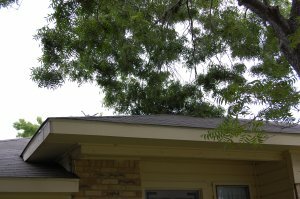 While shade can help keep the attics cooler and reduce cooling costs in the hot Texas heat, it’s a bad idea to allow the trees to come in contact with the roof. When the tree limbs are allowed to touch the roof, the tend to move in the wind and can damage the composite shingles. This damage can allow water to penetrate the structure and cause damage to the insulation and ceilings below. It can even lead to mold if it is not detected and repaired quickly. Climbing on roofs or placing ladders in trees is dangerous and we encourage homeowners to seek professional assistance in trimming trees. 1 comment to Trim Those Trees Off The Roof! Trees right above the roof of homes can be potentially dangerous, if you think about it. That would be a bad scene during a severe thunder storm.